Walrus Audio Descent Review – Best Octave/Shimmer Reverb Effects Pedal? Walrus Audio have developed a reputation for crafting high quality analog guitar pedals over the last few years. There’s also no mistaking that they make some of the coolest looking and beautifully designed pedals as well, particularly attributed to their eye-catching graphic artwork. But while gazing at their pedals may induce love at first sight, it’s the tone-obsessed artwork under the hood that really makes Walrus Audio pedals something special. From the moment I first got some hands-on time with Walrus Audio’s Janus fuzz/tremolo pedal, I knew this company would continue channeling their indy spirit into pushing the boundaries of pedal design and sonic creativity. The Descent, Walrus Audio’s first digital effects pedal, is yet more proof of just that. The Descent is Walrus Audio’s bold attempt at crafting a cutting edge digital reverb pedal with a few interesting surprises. There are 3 modes of operation – Hall, Reverse, and Shimmer – for plenty of reverb shaping possibilities. There are also slots for 3 onboard presets, handy for recalling your favorite sounds in a live setting. Most notable, however, is the Descent’s ability to create additional +1 and -1 octave tones and feed them into the reverb. Octave synthesis is generally the essence of “shimmer” style reverb effects, and it’s interesting that the Descent features optional higher octave and sub-octave voices that may be used across all 3 reverb modes. This is produces shimmering and thick ambience for a potentially unique reverb experience across all of its modes of operation. Tone tweaking is handled from the pedal’s convenient surface mounted knobs (or optional expression pedal), a treat for those who despise digital menus and prefer the instant feedback of knob control. Is this the best octave/shimmer reverb effects pedal around? We’ll excavate the answer in our Walrus Audio Descent review. 3 modes of operation: Hall, Reverse, and Shimmer. Descent can store 3 user presets indicated by blue, green, and red LED lights. Control knobs for Dry Mix, Reverb Time, Diminish, Tweak, Wet Mix, Dry Signal, -1, and +1 (Functions vary per mode). Stereo Outputs (for Mono use Left Out only). Exp input for using an optional pedal to knob single or multiple knob functions. Remote input allows control of Bypass and Preset selection via an optional 2-button footswitch (sold separately), letting you place the Descent at the back of your pedalboard to free up space at the front. 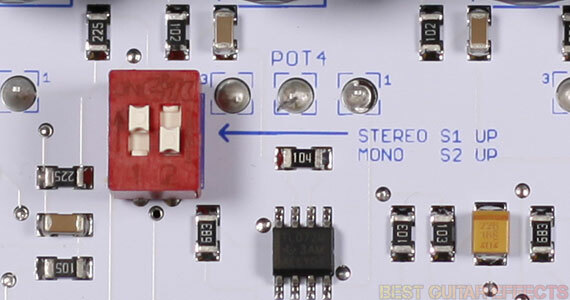 Requires 9VDC power supply capable of suppling 140mA (Note: The Walrus Audio Aetos Isolated Power supply will power this pedal from the higher current 250mA outputs). 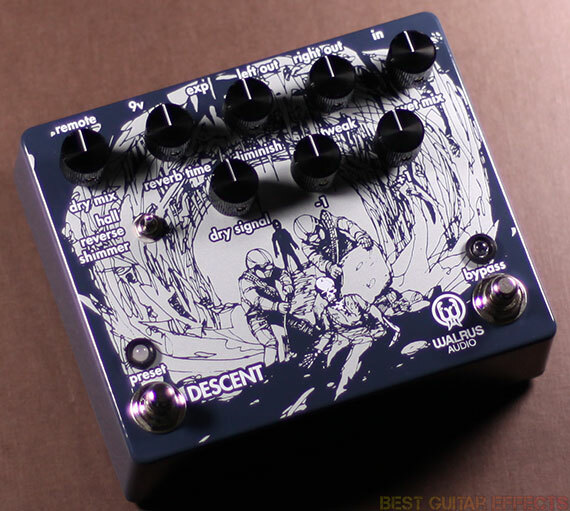 Visit Walrus Audio for more info about the Descent. I’d been waiting to get some time in with the Descent since its first public showing at Winter NAMM 2014 as it’s certainly one exciting looking pedal for Walrus Audio fans who love reverb. Right away you can tell it exhibits the same impeccable craftsmanship typical of the artisan effects from Walrus Audio, feeling like a rugged, roadworthy pedal that’ll withstand the gigs ahead. Of the 3 unique reverb modes on offer, I started with the Hall mode to see what sounds I could dig up (Hooray for puns!). Even at low Reverb Time settings, the Descent produces some fairly big room/hall sounds. The reflections are plate-like and somewhat grainy at low Diminish settings, and I found that bringing the Diminish up a bit helps to round out the sound for smoother reverb textures. As you push up the Reverb Time the virtual hall extends, creating a deep expanse of reverb that sounds like you’re plummeting into a subterranean cavern. Bringing in the -1 octave only enhances this thunderously massive effect although I wish I could have pushed output volume even higher. If you want something more ethereal, the +1 octave will add some shimmering highs to your reverb. I really the Descent’s super long hall reverb with some +1 octave in the mix. While I typically don’t prefer octave pitch-shifting effects that warble, this detuning effect gets lost in the stream of heavy reverb and blends with the Diffusion to create a satisfying overall sound that emphasizes the octave. If the +1 octave is too bright you can use the Tweak knob to reduce the high-end frequency content in the wet reverb signal. The Reverse mode is a pretty unique way to add some rhythmic ambient variation to your playing. When turning down the Diminish, the Reverb Time knob essentially sets the timing of a delayed repeat of your playing. It’s like a single repeat delay. Bringing in the Diminish adds a swelling reverb trail that leads into the repeat to create the reverse reverb effect. The repeat itself plays forwards. Adding either the +1 or -1 octave will allow those tones to swell in the reverb as well, culminating at the point the repeat is heard. It’s also interesting to cut the Dry Mix level so that your initial playing is softer, swelling to a louder duplicate of your riffs. The Reverb Time and Diminish controls are interactive in this mode allowing you to find the perfect response of your reverse trails. Here the Tweak knob serves to lighten or darken the overall tonal response. The Shimmer mode is yet another highlight of the Descent, delivering sounds ranging from small/medium room ambience to crystalline cavern reverbs. Turning the Diminish control down and adjusting the Reverb Time to the left of noon will reveal subtle room-like reverb effects that are more gentle than the lowest Hall mode settings. It’s when you start cranking the Diminish control and boosting the Reverb Time past noon that shimmer effects kick in as the Decent stacks your signal and adds a natural sounding octave up sheen on top. Boosting the +1 octave adds to the intensity and generally makes the verbs even more shiny. The Tweak knob can reign in those highs if it gets too intense for your tastes. Also, bringing in the -1 octave makes for an even bigger sound, and again, it’s impressing how the warbling of the digitally pitch-shifted octaves is rendered a non-issue within the expanse of the majestic reverbs created by the Descent. Saving presets is easy. Just dial in your reverb sound, then push and hold the Bypass foot-switch for a few seconds to save your creation to one of the 3 presets. Pushing the Preset foot-switch cycles through the 3 presets, indicated by a blue, green, or red LED. A cool hack for having access to a 4th sound in a live situation is to have the knobs set to a sound you like, then push and hold the Preset foot-switch for a moment until the LED turns off. You’re now playing the Descent with the setting where the knobs are currently set. Also, all knob parameters can be modulated via expression pedal, and yes, all expression pedal settings are savable per preset. You can even use an expressional pedal to morph between 2 entirely different sounds in the same mode, each set to the toe and heel position. With an expressional pedal and foot-switches, you can have quick access to up to 7 different sounds in a live situation, no knob turning required. The Walrus Audio 2-Channel Remote Control Switch is also a handy accessory worth considering to go along with your Descent. It allows you to place the Descent towards the back of your pedalboard to conserve easily accessible pedal positioning and use the small remote switch to recall presets and activate/bypass the pedal. All you need is a standard male to male ¼” TRS cable. It’s a useful implementation that shows how the Descent really is a pedal designed by guitarists with guitarists in mind. Very, very cool. Want a full stereo reverb? The Descent features stereo outputs, and there’s also the option of feeding the pedal a stereo signal via its TRS input. Just unscrew the backplate from the pedal and flip the positions of the 2 internal dip-switches. The ability to use the Descent in either mono or full stereo means it’ll find a place in any mono or stereo guitar rig. Yes, the Descent’s In jack may be used in stereo with a TRS cable! Now you can place the Descent after your favorite stereo delay pedal! Sweet! All in all, the Descent was worth the wait and is an awesome first foray into the realm of digital effects processing for Walrus Audio pedals. I can’t wait to see what they have in store for guitarists next! Let’s see the final result. The Walrus Audio Descent is an inspired take on digital reverb processing with an emphasis on its built in +1 and -1 octave effects that may be used with all 3 of its Hall, Reverse, and Shimmer modes. For those who like reverbs that shimmer, this pedal will be a haven of majestic reverb sounds. The -1 octave makes for some cavernous, booming reverb worthy of its subterranean namesake. And you’ll find some great traditional reverb sounds and cool reverse reverb effects as well. If you’re looking for the best octave/shimmer reverb effects pedal, the Descent offers some sounds quite unlike any other pedal and is definitely worth more than an audition. That concludes our Walrus Audio Descent review. Thanks for reading. 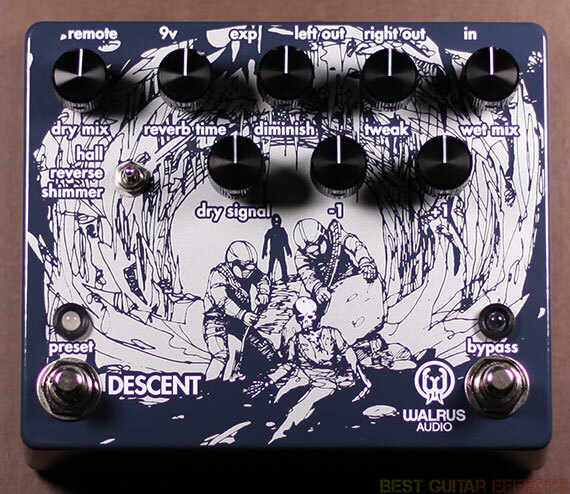 Want to buy the Walrus Audio Descent? I really like the versatility of this pedal. Great all-around choice. Hey Gabriel, greetings from France! I recently discovered your reviews and you’re the best guy around when it’s about testing effects! This pedal is a must have! This pedal makes you travel to another dimension instantaneously! Dimension which I’d like to be right now. I must have this. Love the thick rich sound, lots of different verbs what is not to like about this! I would really love to own this pedal, if I win it great, otherwise I fear purchasing this pedal will result in a lifetime lost in its hypnotic trance. Great job Gabriel. Would love this pedal. Could really use it. Great sounding pedal I need to get a pedal board going and put one of these bad boys on it. I love the level of depth you can get with this thing. Im really enjoying atmospheric sounds right now. Sounds like Pink Floyd in a peddle. One pedal of my dreams. The pedal of the best. Just a pedal of walrus audio but this pedal has a secret: IT HAS EVERYTHING WHAT I EXPECTED AND WANT! The sweetest verb I’m too poor to afford. Please need this one! The descent would be just awesome. It’s like my dream pedal!! Would be a nice addition to my collection. I would love the chance to win the Descent. Walrus Audio has quickly become one of my favorite pedal companies, despite the fact that I don’t even own one of their pedals. I always watch their demos on YouTube and check out their site. Really would love a descent reverb from them. Very nice, it has some very eerie sounds in it, love the octaver. Why do people keep making these things, I’m gonna be broke forever. I think there is a perfect pedal! I’ve always wanted a Bluesky but know i know i was wrong. Really hope to win this beautiful piece of art. Beautiful design, beautiful sounds….definitely one for the experimenters out there…good work Walrus. Looks like a brilliant pedal! Octave + verb? That’s just a cracking idea! This would work nicely in combination with my el capistan. I like to win this. Can’t remember if I entered this yet or not. Oh well fingers crossed. Beautiful ambient synth tones, perfect compliment to my super ego. Especially love the shimmer octave settings. Love this pedal. Pristine is the the word that comes to mind. There is so much variety to explore in the tails. Cheers to this giveaway! So ready to ditch the old “Holy Grail” and fall into Descent! Loving Walrus Audio! I already have the Janus and can’t get enough of it. I like the versatility that this pedal offers! This pedal seems like it has so many options! I’m sure I could make some beautiful music with this! I’ve been option-anxieting over a few different multi-pedals. This looks like a winner. The tweaking possibilities on this unit are excellent! I want one!!!!!! Another amazing pedal by Walrus Audio! If only Tonite I could own this. I would love to add this pedal to my collection, the sound is other wordly. Walrus pedals are masterpieces, sounding and looking great at reasonable price. i love them! Excellent job guys!! Great pedal ! Really cosmic , atmospheric with a lot of possibilities almost like a synth . I love the reverse function , unique ! A good shimmer reverb will get me every time, sounds great with the octave added on too! The reverse option is a really cool twist. I’d love to hear it with some dirt or fuzz ….. I always like the option of having my presets available. The Descent looks amazing! I’m very interested in this, especially for the shimmer effect. I’ve been using virtual plugins for reverb but really need to get a quality hardware reverb. I already have the Janus, and it is ridiculously awesome. I am considering selling one of my guitars to get the money to grab one of these things. This pedal is in my opinion the most versatile reverb and I love the descent’s take on sparkle. Walrus is definitely my favorite pedal maker. As always a ‘better than the other guys’ review. You’ve really become my go-to for pedal reviews, I think because you’ve done your homework and spent some real time with the gear finding some of the good tones they’re capable of. Walrus Audio has been killing it! OMG the tweaking will never end! My friend has one and let me test it out. I was blown away by what it can do and more so by how amazing it sounded. This reverb is amazing!!! Excellent review, makes me want it that much more. Ridiculously cool. I have to have one. Wicked! Wow. This reverb is the answer to my shoegaze dreams! Someone who is as rural as myself would welcome the dream of listening to this effect on a constant repeat at 11…. wow, this is one of the more complete reverb pedals I’ve heard in a while! want. Very interesting verb. I love the shimmer effect. This would be great with my setup. This one looks like a lot of fun. Not too much a fan of the shimmer, but the octave levels are really cool. Makes me curious. This looks so awesome, I want it!! I’m really looking forward to seeing this new delay that Walrus has spoken about. They make solid pedals and I’d love to have a few hours with the Descent. Pretty stoked to try this out. i think an analog reverb pedal such as the descent with the available reverberations and features is an awesome feat of engineering! The descent is one of my favourite modern reverbs.~. haven’t tried any of your pedals, yet..it seems quite innovative! Super impressed by what I’ve seen from Walrus thus far, and I can’t wait to try out some of their stuff at my local boutique shop. That remote switch is such a great idea. Always loved Walrus Audio’s artwork as well. I didn’t think that I needed a new reverb pedal, ha ha, but this one just looks and sounds so darn good! Walrus is definitely one of the hippest boutique pedal companies going today. If this thing sounds half as good in person as it looks it will easily be my favorite pedal. The clips are great. I’m seriously nuts over the artwork. It does exactly what I’m looking for in my next pedal. Well done Walrus! Did I mention the graphics are awesome? I definitely need a new reverb. My old holy grail ain’t cutting it anymore. Love the demo here. Just what I’m looking for. I’d love to win this Descent. It looks super versatile and that shimmer mode is to die for. Would be a great addition to anyone’s collection I’m sure! Walrus Audio always has the coolest artwork on their pedals. Looks like something I could know how to use! Beautiful pedal like always, the soundclips sound great, can’t wait to try out the first digital box from Walrus Audio in person. Hopefully I win this, and you guys make it easy for me to test out! I’ve heard nothing but awesome things about this pedal. Looking forward to trying one myself. Love the Descent. The 2 channel remote is a cool feature too. I need reverrrrrb! This pedal is perfect! Amazing flexibility and user control! Mush more so than other pedals of this type. What an atmosphere! I could spend all my day playing this… Wan this one! I really need this sort of reverb in my life. there should be more companies making reverb pedals that actually add to the musical experience. This sounds amazing and the features are inspirational! Crazy reverb, nice textures for ambiant music. Never hear such a nice shimmering reverb effect. Mrs. Butterworth syrpiness. Sounds fantastic! The amount of different sounds and textures you can get out of this pedal is crazy. Love the graphic on this one, and sweet sounding reverb to boost!! This pedal sounds amazing. It’s definitely on my want list. Walrus Audio makes some of the best pedals I have ever used. This would go great on my board!!! I need a reverb pedal on my board, this one looks great. Would love to have a go at it. Who needs a BigSky when there’s this? This pedal looks incredible, never even crossed my mind you could manipulate reverb in such a way. I’d love to win it! I want to try this pedal just by the way it looks!!! Awesome picture on the front. I was going to consider getting a big sky and a micro pog but this definitely made me change my mind. Does exactly what I want and in one pedal. Sounds absolutely amazing. Win or not, definitely gonna be on my pedalboard in the near future. OMG! I want that pedal! Great review of cool looking and amazing sounding pedal. Wouldn’t mind putting it on my pedalboard! This pedal sounds fantastic! I want. Being a designer, the artwork on this pedal drew me in, but the sound possibilities are equally interesting. Thanks a lot of the pedal overview / review. Absolutely love this pedal. Sounds so clean. The Descent is bar none the best reverb pedal I have ever heard. It wants to come home with me, it’s just waiting on bestguitareffects.com to give it permission. Besides I need it to keep my Walrus Audio Deep Six Compressor company. She’s lonely….very lonely. This is a cool pedal. It sounds like a great rival to the TC HOF 10 preset reverb pedal. I have been hearing about this pedal the past week and I have to say it sounds pretty good will have to check one out in person for a true sound test. Holy balls. This pedal is amazing. I so need this in my kit. This pedal is honestly has such an badass sound. Love the sound, and would love to have one of these! Nice review, looks like a great pedal, especially with the outboard controller. Thanks for the chance to win. Sounds super solid. I wish the stereo outs was a little more standard like the Cathedral…but with the preset switch and all the extra goodies I’m stoked to try one out. Thanks for the demo/review! The Descent looks amazing. I want to try it out some time. Hopefully, I win this one. And to be honest, both, the Descent and the Janus look so good, that I may resist myself from stomping it. What an amazing sounding pedal! This pedal sounds other worldly! I’ve always dreamed of drenching a crowd in sweet, smooth sultry reverb. The Descent will make that happen. The descent makes for some eerie ambient sounds, like falling into madness, gotta have it! This is one of those pedals you wish you could afford but.. The Descent will work great for the film sound tracking & audio scape work I do! And it looks AWESOME! I really want to win this bad boy, the Rev & Octave are too much for me to handle melts my brain when I think of how cool it is. I need me one of these. I’m dirt poor and always trying to expand my pedal board so winning this would make my freaking year. THIS IS A TOUGH PICK AS ITS THE 2 PEDALS NEXT ON MY LIST I WANT TO TRY (MEANING OCTAVE AND FUZZ PEDALS) BUT ID BE MORE THAN HAPPY WINNING EITHER ONE. I HAVE OUT OF NOWHERE TURNED INTO A REVERB JUNKY. CANT GET ENOUGH! Awesome review of an awesome pedal! Haven’t tried Walrus Audio yet. Look forward to doing so. I love the artwork on this and would love to own one. Provides an ambience to simple arpeggios and progressions – this is creative engineering. Gimme gimme gimme! Would be a wonderful addition to my small collection! They’re a really creative pedal co. Definitely the coolest verb pedal out imo. Cool idea combining reverb and octave. I want this amazing pedal. How do they come up with this stuff. Brilliant! So many ideas running through my head. Wow this looks great. Have been looking for a good review and finally got one. This would go great with my blue sky ! Seems a lot more interesting than the EHX Cathedral I used to have. Would love to see the sounds I could get out of this! As alwats I would love to play using this pedal to my dear friend Ronaldinho Gaúcho. I would love to play using this pedal to my dear friend Ronaldinho Gaúcho. This seems like a quality pedal. I would love to try it out one day. I was told to comment on this so I can win it. I would really like to win it. very nice pedal this one! surrrounding sound and lots of alternatives! great review too, well done! This thing looks awesome, every video I’ve seen on it is incredible and it blows other verbs out of the water. That is an increadibly beautifully sounding pedal! Watched dozens of reviews and still can’t stop… Want one. Adding the -1 octave is an awesome touch vs a traditional ‘shimmer’ effect. This allows for some awesome ‘synth pad’ like sounds rah used to require multiple pedals. More great stuff from Walrus Audio! This pedal is absolutely, mind-blowingly exceptional ! The reverb that it produces practically drips over and through my ears in an extremely sensual way. I really dig to wicked, far out sound that the reverse setting produces and how the sound that runs out of the “Descent” absolutely fills up every nook and cranny of space that needs to be filled ! The “Descent” is properly different in the sea of reverb pedals that i often find myself drowning in, and is a fresh and delicious pedal to be released. I’m seriously in love with this pedal. I’ve watched the video like ten times now :). Simply amazing. This pedal was made for me. I need it now! That shimmer is wicked, such a nice effect! This reverb is epic. Can’t wait to get my own! One of the most unique reverbs I’ve ever seen. So cool. I love the aesthetic of these Walrus pedals, and this one sounds amazing. This is by far the most versatile and best sounding reverb I have ever played through. This can do anything that any other popular reverb pedal on the market can do. This is a MUST HAVE pedal. Sounds great! That remote switch is a thoughtful feature. the sub-octave effect is really cool! I bet you could do some great soundscapes with that feature engaged, max reverb time & some nasty distortion! Such a good sounding reverb! Walrus Audio makes some the best boutique pedals out there today! I’ve had my eye on Walrus for quite some time and this pedal seems truly inspired. I can’t wait to try one out someday! This is made for me! Stunning, absolutely stunning. Payday can’t come quick enough. This pedal looks so cool! Would love to have a chance to play around with one! One of coolest soundin’ Verb pedals I’ve ever hear, would love to win it. The art design on these pedals is rivaled only by the crazy out-of-the box soundscape possibilities. I don’t have any Walrus pedals (YET,) but each piece offers so much versatility, from a “normal” reverb/delay all the way to unearthly spacey, cavernous sounds that don’t even sound real. After reading extensively the walrus decent sounds like its awesome for originally crafted reverb sounds that can seperate a guitarist from others with a truly originL reverb of their own ..im especially interested to hopfully be able to trick the reverse reverb ..as I have a snarling dog wawa reverse pedal that if harnessed and patiently practiced can create a sound once thought lost to the archives of rock …in a very hendrix way ..albeit much practice is necessary for one to smoothly pull it off in preforming to empress the crowd of fans ….I would love to part with the part of my soul that is the snareling dog pedal to have one of these inovative walrus decent bad mofos and I hope I get the oportunity here or ill just have to.purchase one ..it seems that crucial ..im all in …torturedgarden out !!! Yes, I would love to win this pedal. I’ve seen walrus pedals in action and have been very impressed! Great tone with any setup. The artwork alone makes me want this thing! Walrus rules and there is no doubt that this is an INCREDIBLE pedal! This pedal easily has some of the most gorgeous artwork I have ever seen on a stompbox. Entering the giveaway because as much as I would love to explore the sounds, I’ve already overspent on my yearly “reverb budget”. Looks amazing though. Nice daring and encompassing reverb. Awesome Reverb that sounds AMAZING!! What else would I need…..
I’m hungry for a good octaver and this has so much more! Definitely one to watch. I was seriously considering getting this and I still am. Just waiting to recover from my spending spree on all the other pedals. The octave feature is key for me, gotta have one! That shimmer sound and orchestra sound is purely divine Just wish it had stereo input but that’s ok. I LOVE oddball reverbs. This thing rules. Amazing how the complete history of experimental rock music comes together in a single device, i’m blazed. Awesome pedal! … I love it! The sound is absolutely awesome! … I want one! Would be great to have, please! Not a big fan of hall and shimmer reverbs, but the +1 and -1 octaves is really interesting – I could really make music with that! That is an awesome pedal, very cool effects! This pedal is from another planet! Love it! Finally, a reverse reverb that I Actually like the sound of. I NEED IT! Wow, those octave switches are incredible! Must. Have. One. Now. After spending years being really sick, tons of surgeries and all sorts of problems associated with Crohn’s disease, ive decided to emerge from this thing with a new style of playing and new tone. Completely redesigning my board, and this descent has just got to be a member of my new effect family! I’ve watched a bunch of demos, and each one shows me some new great use and sound this generates. Wow…. Just wow! Want! Sounds lush and tweak friendly. This thing is turning me onto Walruses. Very Good for bands with Pink Floyd’s sound! It was pretty naive of me but I had no idea that a reverb pedal was capable of so much, I always thought reverb was a subtle background effect but with this it can be quite the opposite and I want it now! Almost feel like you need an advanced degree to operate this pedal, but once you get it dialed in it has some wonderful sounds. Nice pedal! I want it! This pedal is like none other! I’ve never played it personally, but I know that anyone with this pedal is sure to be completely satisfied with it’s performance, tone quality, and awesome sounds it creates all along with an easy interface and sick design…and all for a lower price than the Strymon Big Sky??? Dang… Walrus has done a phenominal job with this one and any guy who could get this (including me) would consider himself one lucky dude! my three week old son would really like this for when he takes over all of daddy’s gear in a few years. I want one of these so bad. Walrus makes sweet stuff. I’m loving the new reverbs that are coming out. This and the Afterneath are high on my list of things to try/buy. I want it for the graphics alone! I’m very curious to know how this pedal sounds!! Great one. Sounds quite good! dial in octave verb? yess. shimmer and presets. yes yes. I think it would be a too Long Story decribing all the very cool Features of this pedal. To make it short: go to your local dealer and tyr out this Walrus Audio Descent! I Play blues as well as worship in a church and the Sound of this pedals really can be used for both. Thats why it is an very interesting pedal for my board. Great artwork, great sound, packed with features …. wow. Give it to me please ! I’ve never got to mess with any of their gear, sounds pretty awesome. Just saw this video and I am super impressed! 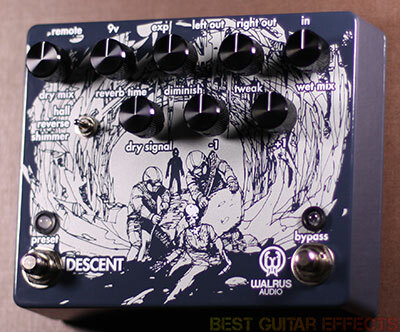 I want a Walrus Audio Descent! It is a very complete Reverb with a lot of options, sounds and variables to make anything that goes around your head, and the octave feature adds it a surround characteristic… I would like to try it!!! Love walrus audio, I have several already. Need this for my collection,. They all sound so great, worth every penny. I wanna Droooooooooone with this one so badly !!!!! Give it to me pleassssseee !!! The bypass and preset footswitches are an amazing and useful feature, besides this pedal has so many options that one could spend hours exploring this nice piece of paradise wraped in a metal case. Can this compete with the big boys? I’d love to try! I want this pedal! The hall preset really gives me the chills. Its very nice to seeee companies besides strymon and TC electronic to produce such great pedals with these many knobs to tweak to each and everyone’s taste. Nice, would pair well along side my stereo wet. Cool artwork too. Walrus Audio Descent. Yes, i like it. Been looking for a decent reverb that does both Shimmer and Reverse for a shoegazey project. Would help me a ton! I love it! Please pick me! One of the 2 things I need so badly right now! Reverb is THE thing most missing from my effects board…the remote is a really cool addition. Great review as always! These are very high quality pedals! The creative possibilities with this pedal is endless. Just listen to the superb hall effect. Would love to get one of this! Sounds amazing. I need this so bad. And a footswitch to control the effect. Yes please. That wee remote would be amazing, letting you sit the pedal on a stand to tweak away mid set. Just awesome! I want it! Awesome pedal, awesome graphic design!!! wow I could really use this ! Very smart pedal, really pushing the boundaries with this one! So cool! Really want it. This pedal is exactly what I am missing. Sounds great! Oh my god this amazing! Really awesome pedal. I’d love to have one. This thing sounds amazing! Hope to own one someday. Really unique pedal, there isn’t anything else like there. It’s capabilities when combined with an expression pedal and simply stunning! I love Walrus Audio pedals and this is one is just one more example of a pedal line. WOHOOO! Thanks guys for offering this for giveaway!!! This pedal is cool. This is the kind of reverb I like, the kind that goes beyond just doing simple verbs. Very musical. Never had a reverb pedal, and this would suit shoegaze really nicely. Amazing! Would love to have one! The Descent has promise to be incredible. The amount of versatility on top of the the high sound quality makes it something to build your pedal board around. I’ve really been wanting pedal to add octaves and a shimmer, and this one takes care of both. Sounds amazing, need one now! This is just an amazing Reverb for Ambient and spacey sounds. I’d love to try this one next to my Ehx Cathedral. I really like my Cathedral but I guess the Descent will blow it away. One of the best sounding pedals on the planet, I need one bad! Very inspiring. My fender spring reverb would never get me there. Would love to create with this. This is my dream reverb pedal for my bass. I’d love to buy a Descent but I’ve got awful things called bills in my way. Wow, didn’t realize there is a remote two button footswitch, that’s neat! Yes, a great pedal for one who despises digital menus..
Why would anyone NOT WANT that thing on his board. Those graphics are amazing, not to mention the sound. Put it up the back of my pedal board!!!??? Good Lord!!! this is so insane!!! I so badly want this!!! I’m not a big reverb user but this thing sounds amazing. Love the remote switches so you can keep it in the loop. Looks really interesting, specially because of the presets. My only concern is when the shimmer effect has lead to the making of any interesting songs.. This is the coolest pedal ever!!!! You can’t beat three effects for the price of one! This pedal is killer. The control you have over the varying sounds and the ability to save presets is really amazing. I could sit and fiddle with this forever. And ever. This reverb is so unique, with the lower/upper octave ability as well as the ability the full stereo. Gotta have one of these to create that ambient space I’ve been searching for. Descent would be sooooo good in my band. It’s basically meant for me. From the demos I’ve heard, this thing is incredible. I love that it can give that great shimmer effect but also just be a more traditional reverb. Really plays the whole field well. Would love to get one of these on my hands. most verstile verb pedal ever heard!!! A reverb pedal which has loads of features. Who want more? This pedal sounds amazing! I would love to see how it sounds with my critter and guitari pocket piano. This is awesome. I especially love the -1 octave sound, so boss. The reverse option is also great, and the fact it comes with the remote pedal and has 3 presets! This is too good. Would be nice to see delay pedal reviews of everything! That was one of the best demos I’ve ever heard. The sounds were absolutely beautiful. Wow! Beautiful. And some beautiful playing here as well. Does more than the new Earthquaker Afterneath, especially the preset functionality – but I’d be curious to hear em A/B’d. The Descent sounds absolutely beautiful – it’s not always easy to find a good Hall, Reverse & Shimmer in one reverb pedal, but Walrus Audio really seems to have done a great job. I think it’s great how you can make angelic sounds, but so make some unreal noise with this. Wow, this pedal is the BOMB! I can imagine myself just playing the most psychedelic licks with it. This one is most definitely THE one one my wish list. That is a pedal I would love to play with! It is hard to believe that this pedal could outrun the strymon bluesky, but It somehow does. That demo is a lot more interesting than I’ve come to expect from a shimmer reverb. I’d like to do weird and disturbing things with that pedal. Walrus reverb…coo coo cachoo. I’m loving this pedal. Looks like a very versatile reverb pedal. This looks like it fits well in competition with other modern reverb pedals that are coming out recently. The octave shimmer would be great with some ambient songs I like to create. This looks like a kickass stompbox, GASing so much! This is a complex reverb on steroids, allowing you to access a ton of different tones and modes, most with a stomp of your foot, for easy use and brilliant sound. Plus, you can run it in STEREO…awesome. Very versatile and relatively noise free. I like it. I have been salivating over this! Love the shimmer! So many possibilities with this pedal! I WANT!!!! There are a lot of amazing “Big Verb’s” out there at the moment, Strymon-MrBlack-RedPanda-Et all; but this is the one that captured me. Presets, Exp, Stereo Out, Remote, all the bells and whistles checked. But goddamn, that pitch-shifting and dry mix just make it kick the f*#k out from the rest. Damn you New Zealand, why is there no distributor here, as so that I can drive them mental trying this pedal out for hours on end. Maybe that’s why. Hey Luke, I am making an order for a small selection of every Walrus pedal there is and will be their new NZ dealer. Wow this thing sounds great – so many possibilities for sculpting some unusual textural sounds. I would like to see this one paired with the blue sky. Ambient for days. I love the capabilities this thing has. I’d love to get my hands on this. Like playing in a cave. Would be a nice addition after a delay. Echo-ing all around. Now this is one nice sounding reverb pedal! Reverse and shimmer? Oh my! I’d love to win this. It make my board complete with a fully functional reverb! Would love to hear it on my rig! Would go nicely with my Jupiter Fuzz! Would love to own this pedal. Rad. Some really innovative features added to the oldest effect in the book. Amazing reverb. Would love to have this on my board. Thank you so much for having these giveaways! I think it is a brilliant pedal. Blending options are great and the sounds demonstrated were awesome. One thing I would have liked to have seen in the demo is how it reacts if you were to add gain but also to get an idea of what chord playing would sound like. My initial impression is that chord playing may be workable using the 2nd preset but I don’t know. I love the footswitch that is an incredible feature. As far as the power supply issue I will have to check what I have as far as power supplies to see if they would be usable otherwise I would have to make another power supply purchase. I love the pedal myself and would thoroughly enjoy playing with and the statement about the footswitch being great for stage-use is absolutely spot on. I would love to win this pedal! I could put this to so much use. Sounds like a great pedal! Would love to try it on things other than guitar, especially vocals and bass. It sounds like an amazing reverb unit – very cool octave feature, too. Very impressive. I didn’t know reverb pedals could do all of that. The preset idea is very sweet. Never heard of this company so this will be a good start. Looks pretty sweet with lots of control. I love the idea of the presets. Haven’t tried one yet, but I think it has some very cool features that other reverbs don’t have. It sounds great, as al Walrus Audio effects. Awesome pedal! Love walrus audio! what a piece of gear, man! Amazing pedal, Walrus audio makes great gear. Really versatile and love the preset option. Starting at 2:51 on the demo video!!!!!!!!!!!!!!!! I love me some Walrus Audio! Oh, this one I desire! This is hands down one of the best reverbs on the market and I’d love to have this on my board! Walrus Audio makes some killer pedals. EXCITED! I have been excited for this pedal since the moment I first saw it. The sound is amazing and the features are top notch. Killer pedal, and a great review. I could definitely use a reverb pedal of useful as the Descent! Wow, sounds rad, looks rad….would be perfect for my pedalboard !! Love the review, also congrats to the big 10 winners from last month! This looks like a great pedal to get the creativity flowing, I would love to spend some time playing with this! I’m surprised there is no Spring Reverb setting, but I love the shimmer. I don’t have a reverb pedal. I’ve been looking for one and this is pretty nice, I also like the included foot switch. I don’t think this sounds as “digitally processed” as some others out there. Great ‘Verb!! Based on the video and audio clips, the Descent sounds like the best reverb pedal I have ever heard. I would LOVE to win this one. has anyone tried this out yet? wondering if the reverse mode can do the Kevin Shields / My Bloody Valentine sound… similar to the Hardwire RV-7. Wow! This pedal is definitely something that can help your creativity! I saw a video of this pedal from summer NAMM and just knew I had to have it! I’ve been waiting for an all inclusive, versatile reverb pedal like this one. 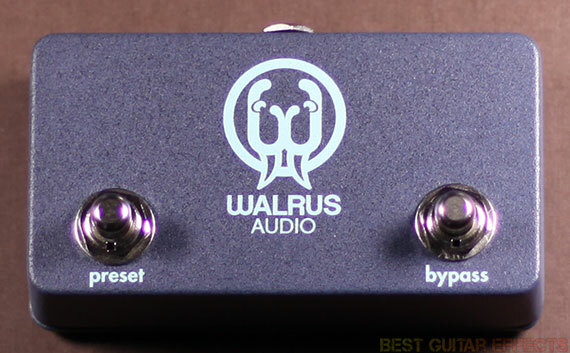 I would love to have some Walrus Audio on my pedal board. Can the octave be played alone? It doesn’t quite look like it, but that would make this pedal even more useful. This is the panel I have been waiting for! I love the extra features! Thank you for the great review! Bet I could make some interesting textures and soundscapes with it! Looks awesome! I need a good reverb pedal. This would be a sweet pedal to win! I’ve been looking for a new reverb to put on my board, and the Descent would be the perfect addition! i got the orange th30 and the only thing missing for me is reverb. that’s the pedal for me! The reverse mode sounds real nice. I have no effects on my new little tube amp. A reverb unit like this would be an good place to start. there is a lot you can do with this pedal. The 3 presets would be very handy. You could spend days with different settings and never lose interest! Sounds and looks amazing! Yes please! Killer graphics, amazing pedal and a great company. Love this stuff! I don’t have anything like this and I imagine it’d be particularly useful for some of the more experimental/ambient stuff I mess around with. I don’t have any Walrus pedals….yet. I do need a reverb pedal, and I have had my eye on this. SO many to choose from, but that artwork on the casing is amazing. Sound aside, it could clinch it. Ok, that thing sounds awesome. A weird synth, organy thing going on. I love it! I want this pedal so bad. Walrus Audio have some of the best effects on the planet. Alway wih a twist, and this on’s no exception. Great reverb with octave! Fab!! Whoa! This thing is awesome! I love the presets those will come in handy. I must have it!